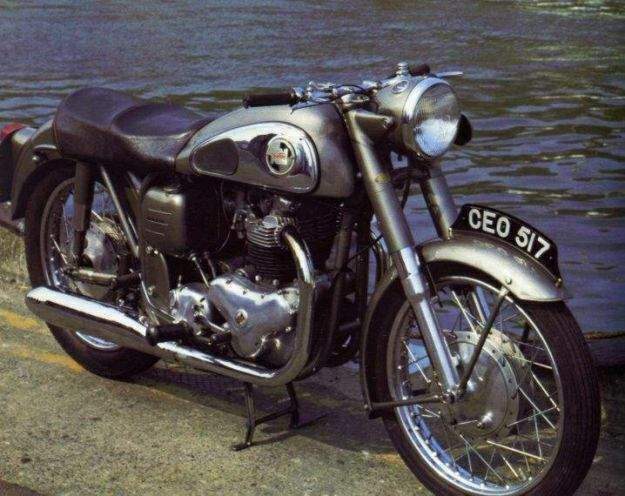 Norton launched its first 650cc twin, the US-market Manxman, in 1960. Available in Europe the following year, the Dominator 650 was built in standard, De Luxe and SS variants, all of which, plus the 500SS, featured a new cylinder head with down-draught inlet ports. With 49bhp on tap, plentiful low-down torque and exemplary handling courtesy of its race-proven Featherbed frame, the 650SS was one of the outstanding sports motorcycles of the 1960s, being more than a match for Triumph's Bonneville in terms of all-round performance. Indeed, in February 1962 Motor Cycling achieved a best one-way speed of 119.5mph at MIRA with a 650SS, more than 10mph up on that of the Bonneville tested the previous summer. Often, post-war British motorcycle factories were unedifying experiences. Squalid working conditions, management of appalling mediocrity, obsessively militant trade unions and chronic under-funding led to a reliance on existing designs and tooling which was suicidal. Yet, out of this mire, true motorcycling gems sometimes appeared. Norton’s Bracebridge Street works in Birmingham was a near perfect example of how not to build motorcycles - but still the factory managed to produce one of the best big bikes of its era. Luck had a huge part to play in the launch of the Dominator. First, the factory owned the coveted “Featherbed” duplex frame. This design had been gifted to the factory by the McCandless brothers and had kept Norton’s Grand Prix aspirations alive ten years after Norton’s race bikes should have been obsolete. Not only did the “Featherbed” set the standard of handling for the whole of the motorcycling world but its great benefit to Norton, and many other manufacturers, was that the duplex design allowed almost any engine to be housed within the widely splayed frame tubes. The Dominator also had a very reasonable engine. Designer Bert Hopwood was an obsessive self-publicist but had worked alongside both Val Page and Edward Turner at Ariel in the 1930s when all three became interested in the concept of neat, cheap to produce, parallel twins. Page penned the elegant Ariel KH, Turner the legendary Speed Twin and Hopwood the Dominator. Naturally, he claimed the Dominator to be far superior to the other two! The resultant bike was a nice motorcycle by any standards. It handled extremely well, had a sweet, reliable engine which provided a genuine 90mph performance and possessed the best brakes of any contemporary British bike. Only in terms of a leak prone primary chain-case was the Dommi inferior to Triumph’s world-beating range. 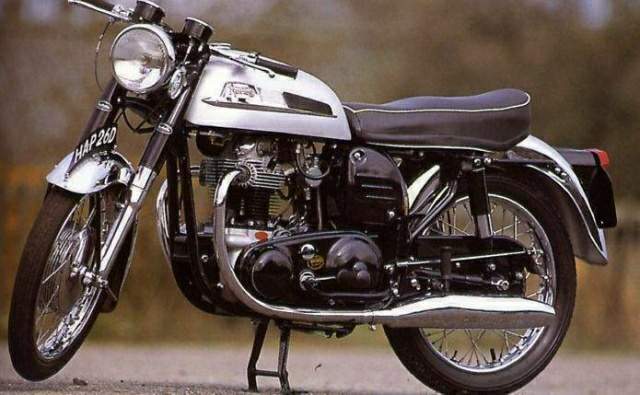 Finished in Norton’s classic polychromatic grey colour scheme, the Dominator also looked every part as elegant as its Triumph contemporary and was far more elegant than either Ariels or BMWs of the day. But it wasn’t oil leaks which constantly forced the Dommi into second place in the sales race. The Triumph factory was modern, well equipped and profitable. By contrast, the Norton works was a model of inefficiency and squalor and suffered from chronic under-funding. At best, the Bracebridge Street works could produce only 200 bikes a week - and that was a rare occurrence. 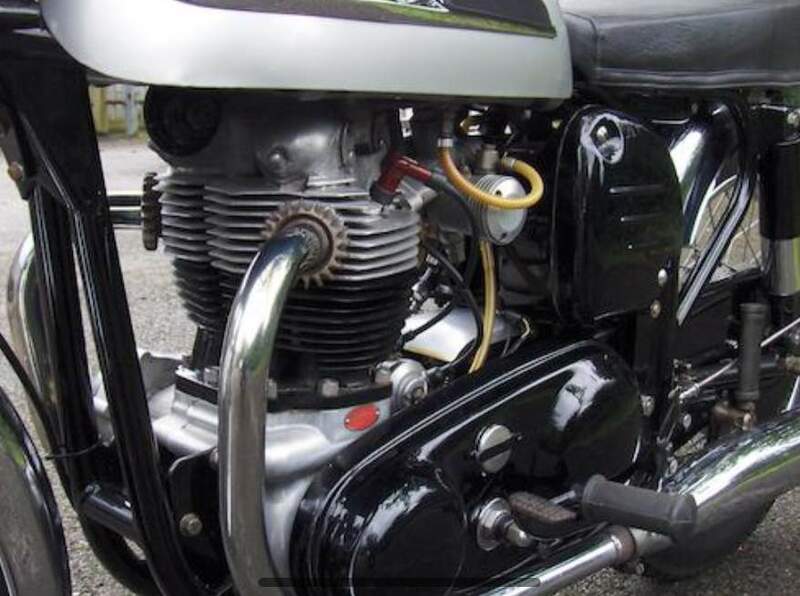 That Hopwood’s first design proved to be right is shown in the way that the basic motor was bored and stroked first to 600cc and then to 750cc with the Atlas and eventually, although much modified, all the way to the 828cc Commando. Today, the Dominator still does not fetch such a premium price as its Triumph rivals which makes it one of best buys in the classic bike market.